Thousands of people are injured in accidents every year. Slip and fall accidents that result from slipping or tripping on a wet floor, broken pavement or other defective flooring can lead to serious injuries. A lot of times property owners are responsible for the accident so it’s important to be informed about your rights if you suffer a personal injury. A slip and fall accident is any injury that occurs from falling on a floor, stairs or other surface that has become wet, slippery or dangerous. Even uneven pavement or surfaces can result in a slip and fall. If you or someone you know has been injured in a slip and fall accident, you may want to seek legal help to cover the damages and costs you have suffered. Who is Responsible for a Slip and Fall? It can sometimes be hard to prove who is at fault in a slip and fall case. But if you fall on someone else’s property, there is a good chance that a lawyer can help you make a strong case that the injury could have been prevented. Usually it boils down to the question of whether or not the property owner could have been more careful – and if that could have helped to avoid the accident. For example, if there is a leak that caused a floor to become slippery, the property owner needs to ensure there is a drainage gate in the floor that helps remove the excess water. If there is no drainage gate and someone slips on the floor, that property owner is responsible. If a person slips and falls on a foreign object, such as a rake or stick that should have been removed, they are responsible for the fall. Likewise, if a property has not been shoveled and salted in the snow or ice and a person slips, the property owner is responsible because, with the right care, the fall could have been avoided. 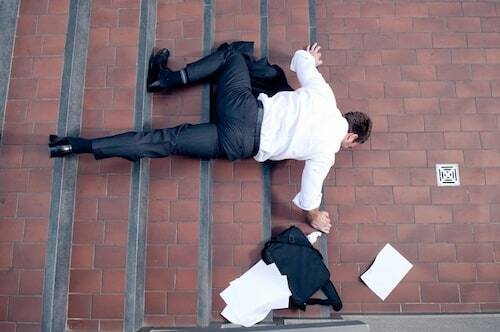 With the right legal assistance, you can present a strong case for a slip and fall injury. Lawyers can help you prove that a property owner was not maintaining reasonably safe conditions and that you could have avoided your fall. Without legal help, your fall could be attributed to carelessness or clumsiness, and your award for damages could be reduced considerably. For more information on how you can get help with slip and fall injuries, contact McEvoy Criminal Law. We can answer any questions you have about your incident and help you win your case.